Back in January 2018, Argentine Ambassador to Haiti Pedro Cornelo Von Eyken told Le Nouvelliste: "Haitians do not need a visa to visit Argentina as tourists." but that's about to change starting in September 2018. Haitians will again need a visa to visit Argentina, the same ambassador, Pedro Von Eyken, said. This decision came from the National Directorate of Migration just 8 months after the announcement last January to exempt Haitian travelers from needing a visa to visit Argentina. 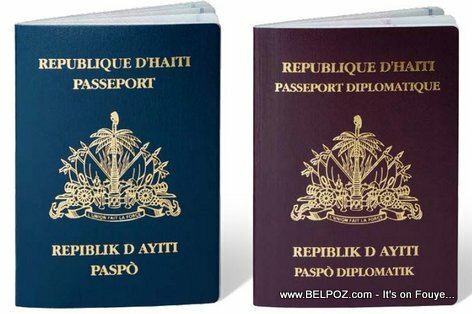 Haitians in general, whether we want to admit or not, are not looking to visit any country on the planet, we want to pack our bags and go live there. As soon as a country opens its doors for Haitians to visit, we run across the red sea to the promise land! The other countries realize that and they are making it more and more difficult for Haitians to visit. Don't get me wrong, there are many Haitians who want to visit other countries and come back home but for the majority, that's not the case. In 2017 alone, more than 100 thousand Haitian nationals emigrated to Chile because no visa was required to go there as tourists. Can you guess why Argentina suddenly changes his mind. Vant Bef Info reports, Haitians who were supposedly visiting Argentina as tourist got caught traveling with their birth certificates, marriage licenses and other personal documents that should have been left in a safe place at home unless you do not intend to return home. Parce que les Argentins ne nous respectent pas. par ailleurs, aucun pays qui nous respecte.